Here’s something to think about. Few people realize that regardless of assets – we all have an estate. What the digits look like on your bank statement do not matter when it comes to having an estate. If you have no children or a lot of children, you have an estate. Being a Millennial or a baby boomer doesn’t matter either, you have an estate. If you do not put your wishes and directions in writing the state where you reside has a plan – as a default. Chances are – the way assets are to be distributed according to your state may not be what you think. Also, leaving decisions up to your state – such as naming guardians for minor children may not be what you want. You know your family better than anyone. Those are a few reasons why you should have an estate plan. While there are many different ways to plan an estate, no one-size-fits all strategy works. Some people need more items (e.g., trusts, tax or Medicaid planning) in their plan and some folks are best with the basics. 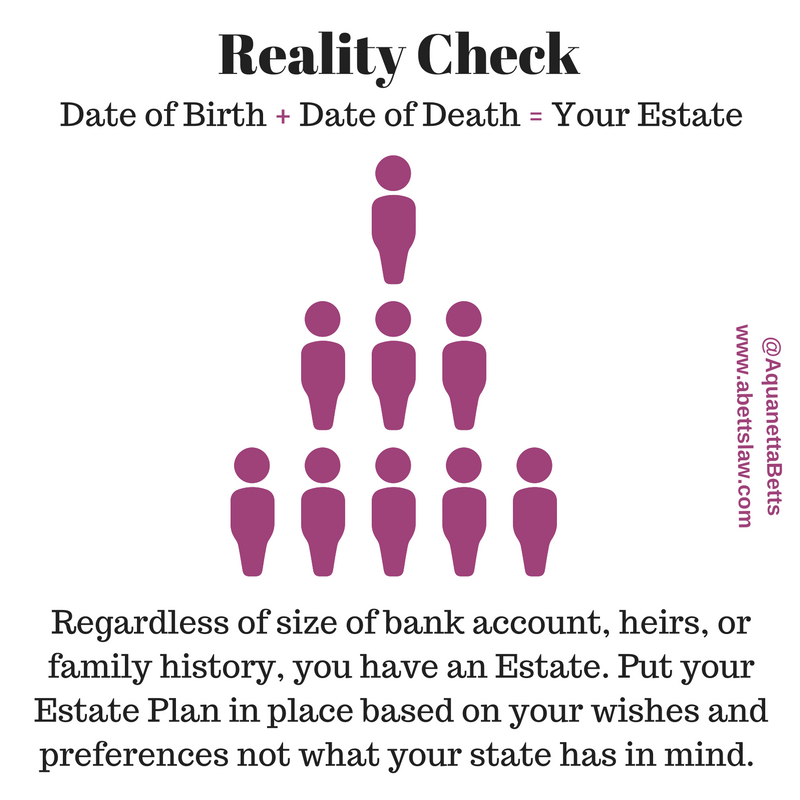 Reality checks are something to think about, especially when it comes to your estate. The information in this article was not intended as legal advice. Please consult with an attorney about your particular situation.